t*rexes and tiaras: Friday Favourites 068..
Now that the cold weather seems to be well and truly upon us, my thoughts have turned to layering up jumpers and cardigans like there's no tomorrow. 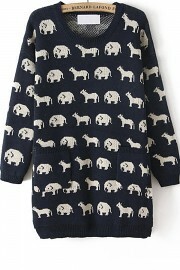 I know I don't really neeeeeed any more jumpers, especially since I promised I'd never buy another, but I sort of wonder if maybe I could get away with adding the the wardrobe zoo just a little more...? 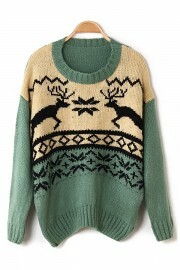 001: This reindeer one makes me think of Christmas and log cabins (Wham video, anyone? )..I'd want to wear it sledging down a snowy hill before kicking my boots off and opening presents in front of the log fire. (*goes to book holidays*). 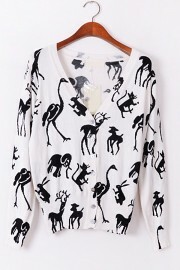 002: I love how many random animals are on this cardigan, cats and flamingoes and deer, oh my! I don't very often wear white, but for this I think I'd make an exception. 003: Really bright pink and a toucan? That's a winning formula in my book. I like the half length sleeves and think this jumper would work nicely when the weather is getting a little less chilly, maybe with a pair of shorts and some tights? 004: This one is definitely my favourite. I love the fact it's called "Relaxed Animal Sweater" as, even though I know it means the cut, in my head it conjures up thoughts of all the animals in my wardrobe zoo chilling out and relaxing, which amuses me. You can tell it's been an emotionally draining week, can't you? Hehehe, I thought the exact same thing about the relaxed sweater. 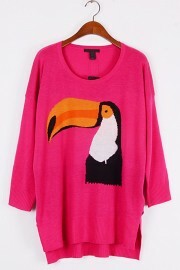 You should defo get the toucan jumper. It's fab! That toucan sweater! I have a thing for toucans...Love! Oh these are all so fab! Loving that toucan sweater! Reminds me of that iconic Guinness ad.